The days of relying on expensive, bottled water for purity and good taste have passed; the ZeroWater Tumbler is the convenient, affordable option ideal for bringing to on business trips, vacations, road trips and more! Just fill it up after security for clean water or in your hotel so you do not have to buy the expensive bottled water! 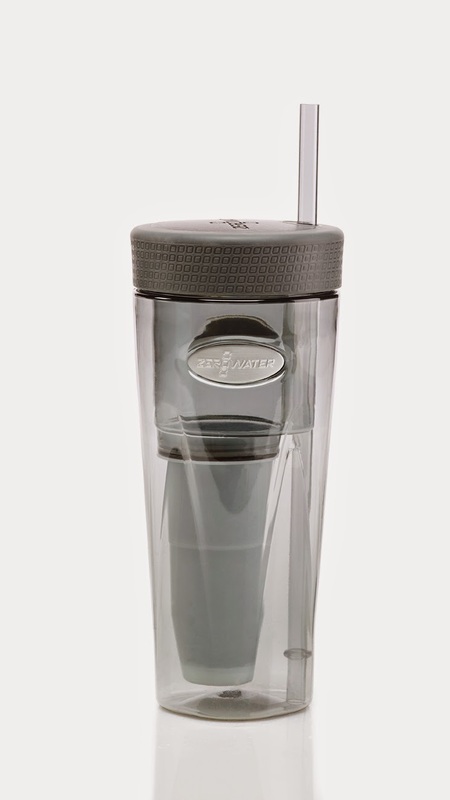 The ZeroWater Tumbler employs the same patented 5-stage filter technology and revolutionary ion-exchange system that made its pitchers and dispensers a favorite among consumers. The ZeroWater Tumbler is welcome news to health-minded individuals concerned about toxins constantly found in normal tap water. * BPA-free, leak-resistant bottle provides 000 dissolved solids anywhere potable water is available. * Ergonomic design that fits easily into most cup holders as well as gym/active/sports bags. * Next-generation five stage filter with color change indication makes it easy to know when to change the filter. * In a recent, independent comparative study of water filter systems, Zero Water consistently ranked at the top of each tested category and was the only filter to remove 100% of aluminum. * Independent research led by Good Housekeeping found that ZeroWater’s filtration removes the highest percentage of the fifteen most common tap water contaminants, earning their products a Good Housekeeping top rating. * ZeroWater is the only water filtration system to receive NSF endorsement for its reduction capabilities in chromium-6 and lead. The Water Quality Association has recognized ZeroWater for its accomplishments in delivering pure water. 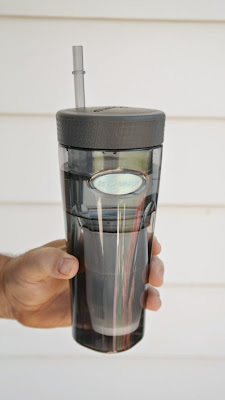 Recently we were sent one of the new ZeroWater Tumblers to review for all of you. We lead an extremely active lifestyle and are always on-the-go. One of the things I really like about this tumbler is it's design. It fits comfortably in your hand and will also fit inside a standard cup holder in your car. Next, it's very easy to use! Simply unscrew the lid, fill it up with tap water and within 2 minutes or so...you have filtered drinking water ready to go! After filling it with regular household tap water I was amazed at the difference that it made. It tasted like fresh spring water from a bottle but it came from my tap! 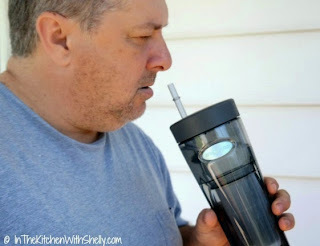 I never drink my tap water but since receiving this filtered ZeroWater Tumbler, I now do! We do a lot of traveling (travel bloggers) from the end of March through October and this tumbler is going on the road with me! I am so tired of paying $3.50 for a bottle of water at hotels and this tumbler is going to save me a ton of money! Plus, this is a whole lot better for our environment because you are not tossing away empty water bottles! Yay! ZeroWater is the only filtered water that meets the Food and Drug Administration’s requirements for Total Dissolved Solids in purified bottled water. ZeroWater is available at select retailers across the US and Canada. For more information, please visit www.zerowater.com. I did not know that Zero water had made this tumbler for the person on the go. I think it is a great idea and will save both money and the environment.